Home » VW Passat » What can the Passat do? What can the Passat do? The 2019 Volkswagen Passat is a mid-size sedan with a lot to offer. This model is sharp and is turning heads as it passes by. We want to give you a more in-depth look at what this vehicle has in store for drivers. Let’s take a look at the 2019 Volkswagen Passat trim comparison to see what trim is right for you. The standard Wolfsburg trim is powerful and full of fun features. It comes standard with a 2.0-liter turbocharged engine that delivers 274 horsepower. The Passat Wolfsburg also has comfortable interior features like V-Tex leatherette seating surfaces and heated front seats. 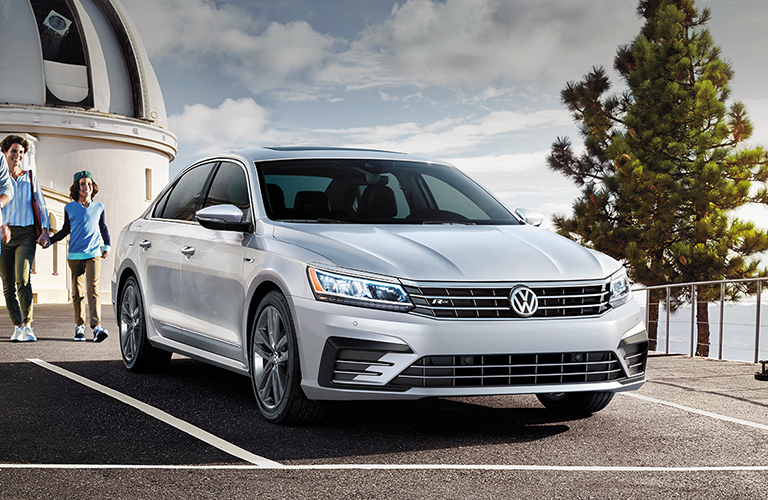 The Passat Wolfsburg also comes standard with Volkswagen Car-Net® App-Connect, Bluetooth® technology, and SiriusXM® All Access. All of these features are designed to make the ride easier for you and your passengers. Now that you know more about the Volkswagen Passat Wolfsburg, let’s take a look at the Passat SE R-Line. The highest trim level of the 2019 Volkswagen Passat is the SE R-Line. It has plenty of fun amenities to give you a helping hand. This model has a Hands-free Easy Open trunk, a power tilting/sliding sunroof, Park Distance Control, and rain-sensing windshield wipers. It also has LED headlights and taillights to help you see other motorists on the road. You can also feel relaxed inside its cabin with the help of the Climatronic® dual-zone automatic climate control. After looking at the 2019 Volkswagen Passat trim comparison, you can decide which one is right for your needs. 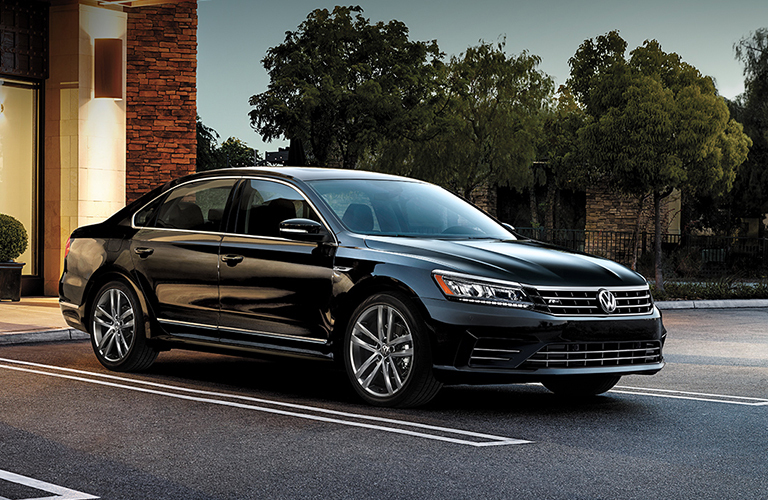 If you are interested in buying or leasing a new Volkswagen Passat, you can check out our online inventory to see what we have available and schedule a test drive with us at Speedcraft Volkswagen today. What colors are on the new Passat? How far can I go in the Passat? What colors are available on the Passat? What trims are offered on the Passat? This entry was posted on Monday, January 28th, 2019 at 2:49 PM	and is filed under VW Passat. You can follow any responses to this entry through the RSS 2.0 feed. You can leave a response, or trackback from your own site.